Traditional virtual app and desktop delivery solutions are effective at allowing all of your employees to access their data and desktops securely, from a variety of locations. However, many legacy desktop and app virtualization solutions can be expensive, difficult to implement and hard to manage. 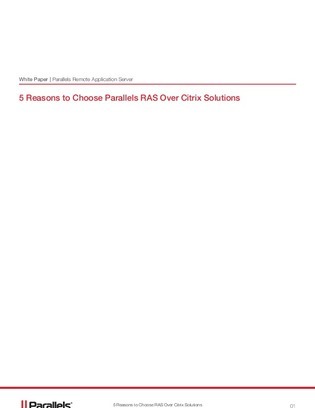 Download this white paper to find out how an alternative solution, like Remote Application Server (RAS) can solve these challenges by providing a cost-effective, all-in-one application and virtual desktop delivery solution that is easy to use and manage.